Although commonly referred to as the Natural History Museum, it was officially known as British Museum (Natural History) until 1992, despite legal separation from the British Museum in 1963. 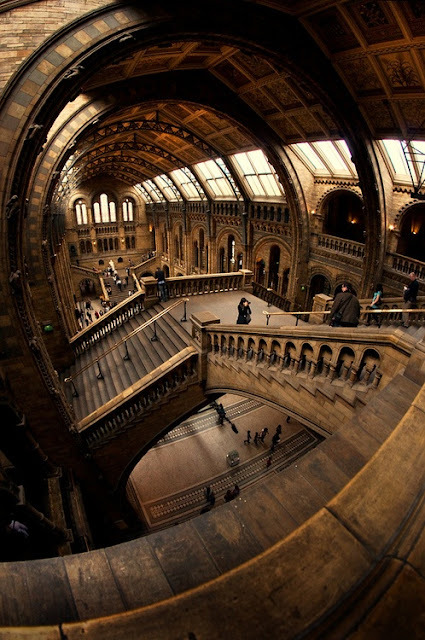 The museum is particularly famous for its exhibition of dinosaur skeletons, and ornate architecture — sometimes dubbed a cathedral of nature — both exemplified by the large Diplodocus cast which dominates the vaulted central hall. Originating from collections within the British Museum, the landmark Alfred Waterhouse building was built and opened by 1881, and later incorporated the Geological Museum. The Darwin Centre is a more recent addition, partly designed as a modern facility for storing the valuable collections.